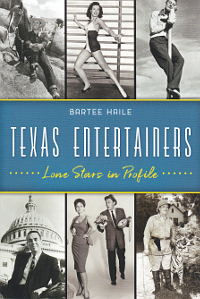 Saturday, June 6th, 2015, 2:00 – 4:00 p.m.
Galveston Bookshop will host a book signing on Saturday with author and radio host John DeMers and a selection of his cookbooks and Texas mystery novels. Titled after his popular food and wine radio program, The Delicious Mischief Texas Cookbook tells the tale of his transformation from shy food writer to high-energy, funny, and often irreverent radio personality in several Texas markets while sharing the top 100 recipes gathered over the years. John has interviewed such notable chefs as Emeril Lagasse, Robert Del Grande and Stephen Pyles. 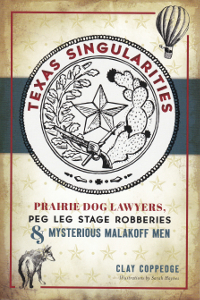 John is also author of three West Texas mystery novels. 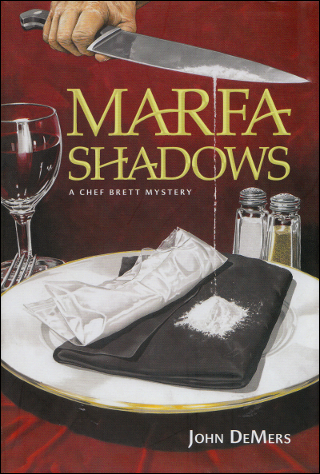 Marfa Shadows and Marfa Rocks both feature Chef Brett, owner and operator of a trendy restaurant in the arts saturated little town of Marfa, Texas. Terlingua Heat is a seperate mystery series featuring Big Bend river guide Danny Morales with intrigue set against the harsh realities of the West Texas Borderlands. 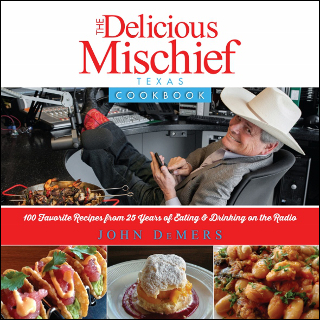 Currently, John hosts the weekly Delicious Mischief food and wine radio show Saturdays on 1070 AM in Houston, 570 AM in Dallas, 1370 AM in Austin and 930 AM in San Antonio.